The math is worrisome: Demand for health care is rising due to an aging and growing population, but the supply of primary care physicians is declining. By 2030, the United States will have a shortage of as many as 43,100 primary care physicians, according to recent projections from the Association of American Medical Colleges. One solution? Nurse practitioners (NPs). These health professionals can perform many of the basic tasks that primary care doctors do — assess patients, diagnose diseases, order and interpret diagnostic tests (such as X-rays), develop care plans and prescribe medications. Some even perform minor surgical procedures. “We need more clinicians,” says Cindy Cooke, past president of the American Association of Nurse Practitioners (AANP) and an NP in Huntsville, Ala. “There is never a shortage of patients.” There were roughly 222,000 nurse practitioners in the U.S. in 2016, and the number is rising. So chances are increasing that you’ll see a nurse practitioner at some point in your health care journey. 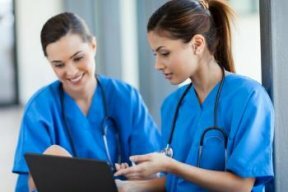 Becoming a nurse practitioner requires a bachelor’s degree in nursing, licensure as a registered nurse, a master’s degree and advanced clinical training. NPs also undergo national certification, peer review and clinical outcome evaluations, and they adhere to a code of ethics, according to the AANP. And then there’s this: Some 13 percent of NPs go on to obtain doctoral degrees, usually in some aspect of health care. Still, physicians spend more time in training than do NPs, which is a major difference between the two. Medical doctors obtain a four-year undergrad degree, spend four years in medical school and then three to seven years in residency. In a study published in February in Medical Care, NPs and physician assistants delivered the same quality of care as doctors over a five-year period at community health centers. Patient outcomes for NPs were comparable or better than for physicians in 11 categories in a 2013 study published in the Journal for Nurse Practitioners. 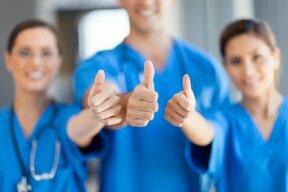 And in a study by the University of Michigan-Flint, patients rated nurse practitioners 9.8 out of 10 in satisfaction, while giving physicians an average score of 7.2. Patients with chronic obstructive pulmonary disease who received care from NPs and other advanced practice registered nurses were less likely to visit the ER after hospitalization than those cared for by a physician, according to a 2016 study by the University of Texas Medical Branch in Galveston. “We tend to focus more on prevention and wellness — it’s a more holistic approach to health care,” says Penny Kaye Jensen, an NP with the Department of Veterans Affairs. Adds Rebecca Bates, an NP who works with uninsured patients at free clinics in Northern Virginia: “We are educated differently. We have different models of how we care for patients.” For the full article, visit aarp.org.